The word Antigua, meaning “antique” in Spanish, fully depicts the qualities of this picture frame collection. Reminiscent of a former time, these mouldings present dark brown, acid washed finishes and umber highlights. Featuring 5 frames, this assemblage ranges from petite to substantial and sizes in between. The rabbet depths vary depending on the style of the frame. We envision these frames being used for framing mirrors, paintings, sepia photography or simple watercolors in bright colors. This sepia photograph received a simple framing treatment. The antique appearance of the photograph is matched with the choice of frame and mat board. We used frame Antigua- Dark Brown Metallic. The clean, white mat acts as a separator between the deep brown tones of the photograph and the frame. 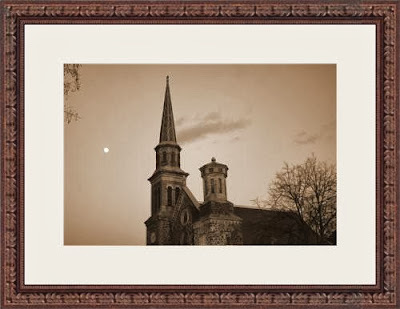 This painting was framed with AT3335, Antigua- Dark Brown Metallic. 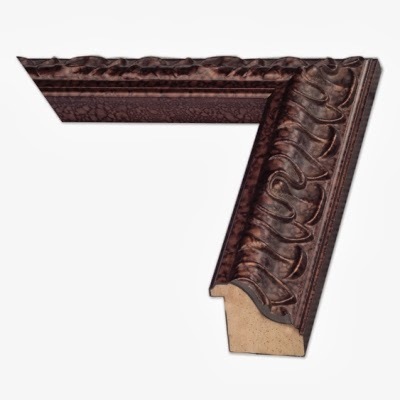 This frame has an ornate rippled design and is great for framing paintings. 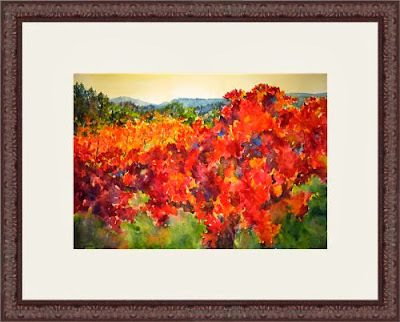 This giclee print of a painting received a double matted treatment. The bottom mat (Green Marshes) matches the other green tones in the image and creates depth, while the top mat (French White) lets the image breathe by separating the dark green from the dark brown finish of the frame. Here is detailed view of AT3335. This frame has a deeper rabbet (R: 5/8”) which makes it a great choice to use with linen liners or to frame a canvas on board. This moulding has a prominent rippled design. This vivid watercolor painting is framed with a white 6-ply mat (8465.6-Igloo) with wide borders and an Antigua picture frame (AT3332-Dark Brown Metallic) with a subtle scroll detail. 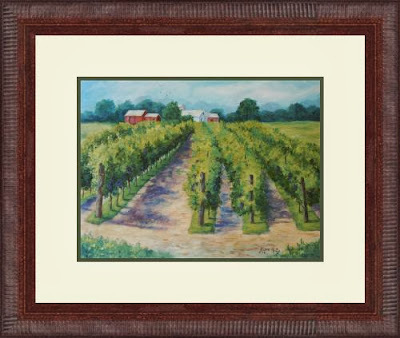 The simple mat board allows the strong colors to take center stage and the Antigua frame compliments the painting by subtly mimicking the movement and brushstrokes in the artwork. Here is a closer view of AT3332. This frame features a deeper rabbet (R:1”) and a scroll detailing on the face of the frame. This frame is deep enough to be used with a linen liner or stretched canvas. 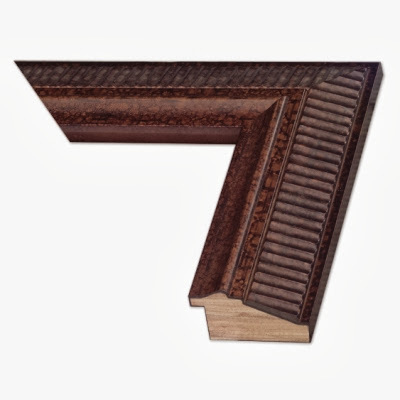 The Antigua line of frames is an updated look to the old world, antique frames that used to be so prominent. These frames continue the tradition of ornate detailing, while banishing the idea that such frames must only be silver or gold. Their rich finishes bring Old World ornate details into a modern time, making them suitable for a range of decors. Mixing the antique with the modern creates a warm, eclectic appearance favored by many in their interiors. 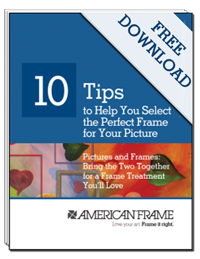 Have you ever used any of the frames in our Antigua collection? What is your “go-to” type of artwork that you love to frame with these picture frames? Post pictures! It’s always fascinating to see our products in use. Thanks regarding posting this valuable hidden television. As I genuinely wish to decide to buy framework and then indicated more over at this TV. Cheers!